for some reason I see a felt plush parrot in your future! LOL! Will they fit on the cat? argh right back at cha! 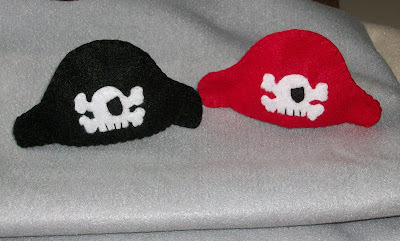 We be lovin' us some felt pirate hats over here. That is a gorgeous TARDIS in your main picture. How did you make that? A Very Tiny Sneak Peek. What's Going On in Sassy's Studio?